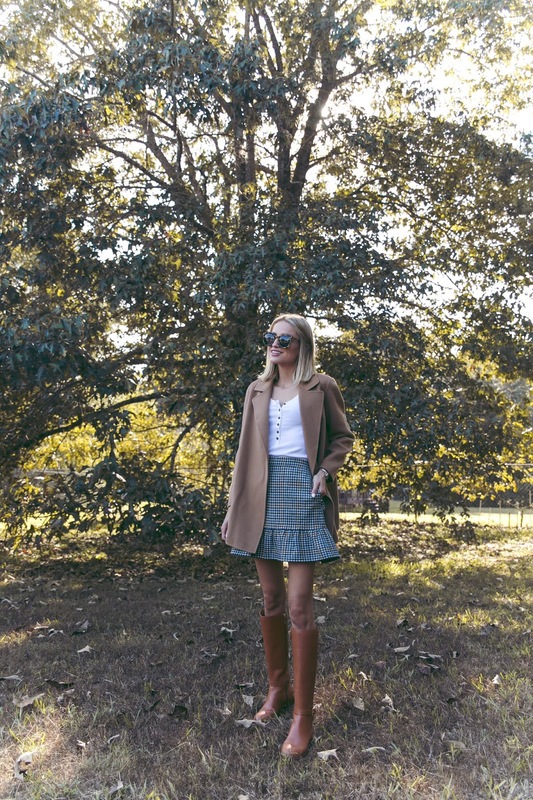 What is the ultimate fall outfit you may ask? Well, I put together my favorite pieces for Fall, and ended up with something I know I can throw on when I need to look cute AND comfortable! There is a reason why this season is a favorite amongst SO many. It's nostalgic. It's cozy. It's fun to dress for! You all know I'm a layers kind of a gal, and I feel my best and most put together when wearing an outfit like this. My $19 henley (go up 1 size! I'm wearing small) is the perfect top to dress this outfit down and make it a bit more casual. Want to dress it up? I love my silk Vince blouse or even a crisp white button down. If you caught my Instagram story the other day, you might already know that I've been looking for a pair of riding boots for years. Every year I see women wearing riding boots, looking super cute, but none of those options worked for me. Either too wide around my legs, or the logo was too big and distracting. I prefer something more classic and less "in your face".. if you know what I mean! Anyways, I came across these gorgeous riding boots from Tory Burch and decided to give them a try. Ended up falling in love, and I'm so excited to see that they work with every outfit I've tried them with. Being the perfect finish, as well as super comfortable. I absolutely LOVE living back home in Georgia, and can't freaking wait for the weather and nature to start changing. I can already see the leaves turning colors, and our mornings are already cool and crisp. Ugh, I'm obsessed and so grateful to be living somewhere that I LOVE! 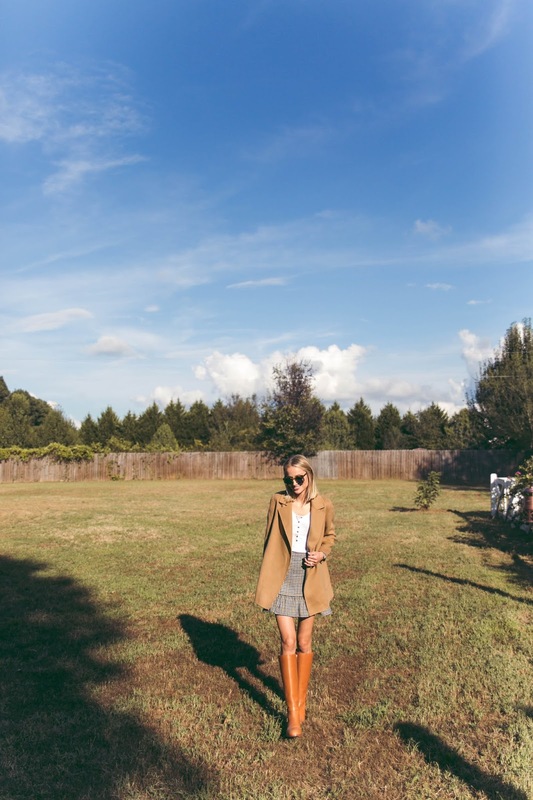 Anyways, I hope todays post gave you a little outfit inspiration for the season ahead. I'm so happy that I was able to shoot again and share here on the blog. Thank you for always taking the time to come here, whether you read the post or not. I'm happy you are here!